Governmental officials making arrangements for a smooth ceremony; Shopkeepers creating innovative themes to motivate purchases; Children excited about the gifts they are going to receive; Parents wondering what gifts to buy this year; Grand parents choosing different presents for their beloved grand children with that special care; Teachers in schools busy arranging events – what are all these for? These are for the Arrival of Sinterklaas. Now, who is this Sinterklaas? Sinterklaas is the shortened version of St. Nicholas. The celebration of the arrival of St. Nicholas – Sinterklaas or simply the Sint is an authentic Dutch Festival. He is also believed to be the source of the ever popular Santa Claus. When the early Dutch settlers came to America, they naturally brought with them their venerated old bishop. St. Nicholas and their favorite holiday, Sinterklaas. Indeed, after landing in the New World, the Dutch explorers, led by Henry Hudson, built their first church on the island of Manhattan in 1642, dedicating it to Sinterklaas. When the British took control of New Amsterdam in 1664, they adopted the Dutch recognition of Sinterklaas and merged it with their own observance of the Winter Solstice, Father Christmas—the merry, roly- poly, Falstaffian figure in high boots. Eventually, these two old gentlemen commemorated in December, merged into one. Every year the Sint arrives in the Netherlands in a steam boat in November. He comes from Spain and then travels throughout the country meeting and greeting people and distributing presents to children. Then comes the special day – The Sinterklaas Feast on December 5 – also called the Sinterklaas Eve – the evening the children receive their gifts. 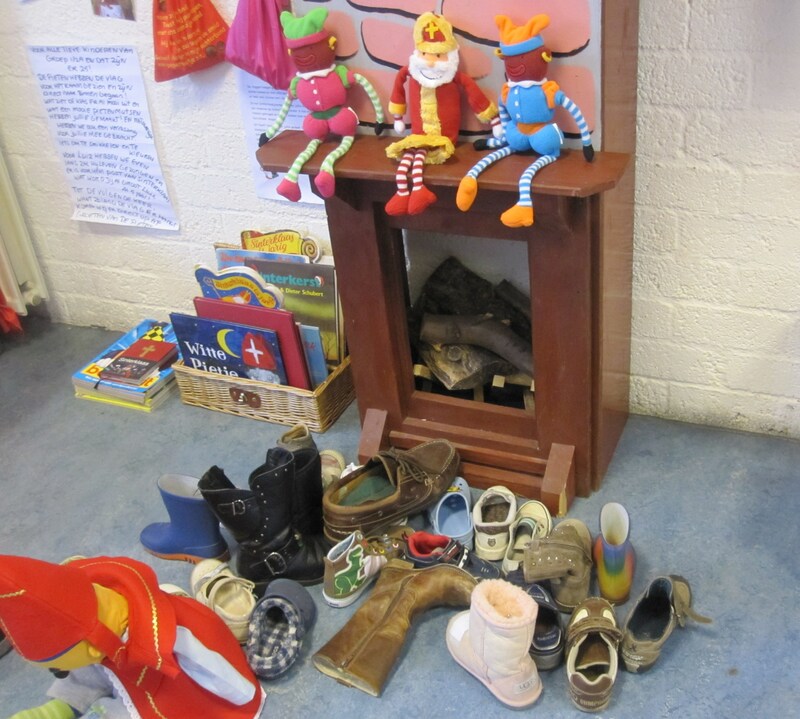 The children keep their shoes outside their houses, traditionally in front of the fire-place, stuffed with hay and carrots for the Sint’s horse. 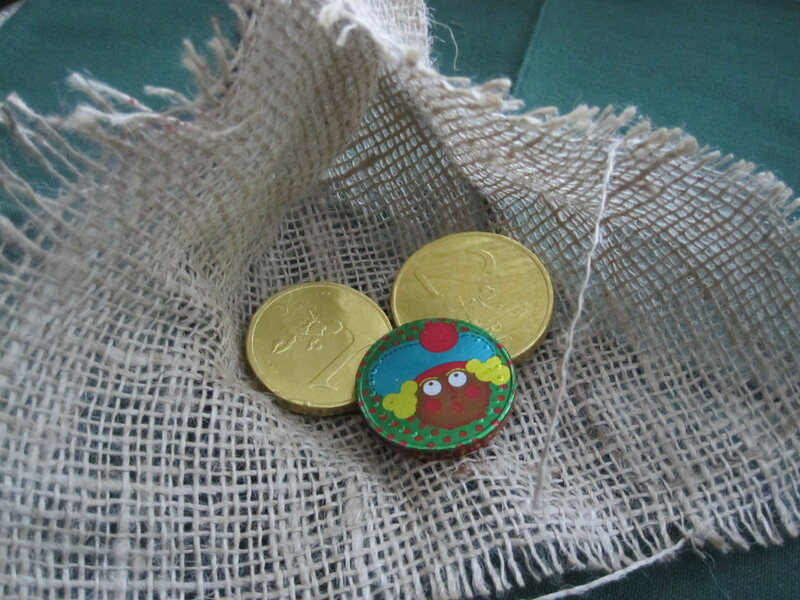 Sinterklaas takes them and leaves the precious presents for the children. He leaves for Spain on December 6. Why does Sinterklaas come from Spain? 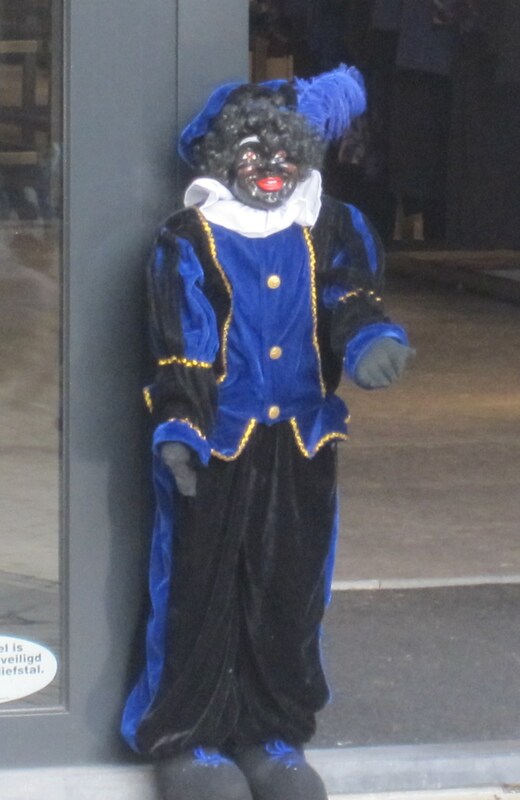 Zwarte Piet translates as Black Peter. Zwarte in Dutch means Black and Piet might be the Dutch version of Peter. 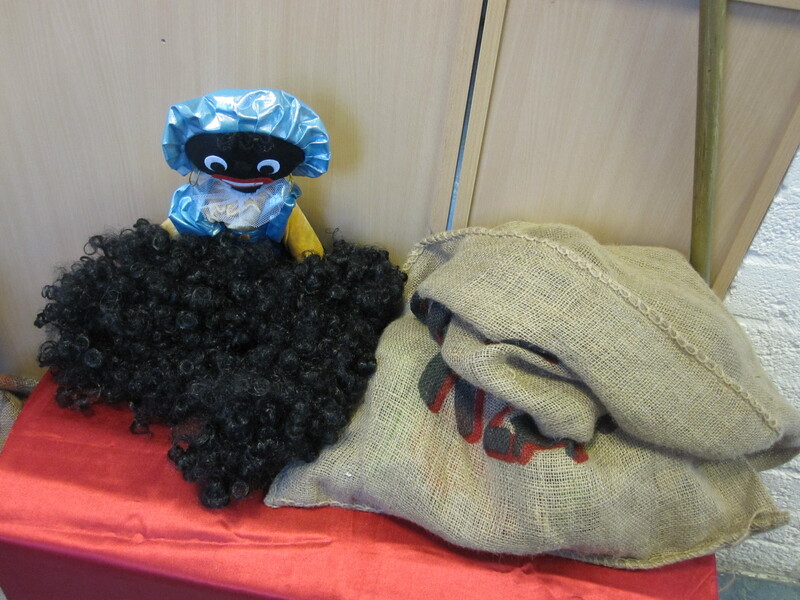 Sinterklaas is accompanied by one Zwarte Piet while he arrives from Spain. 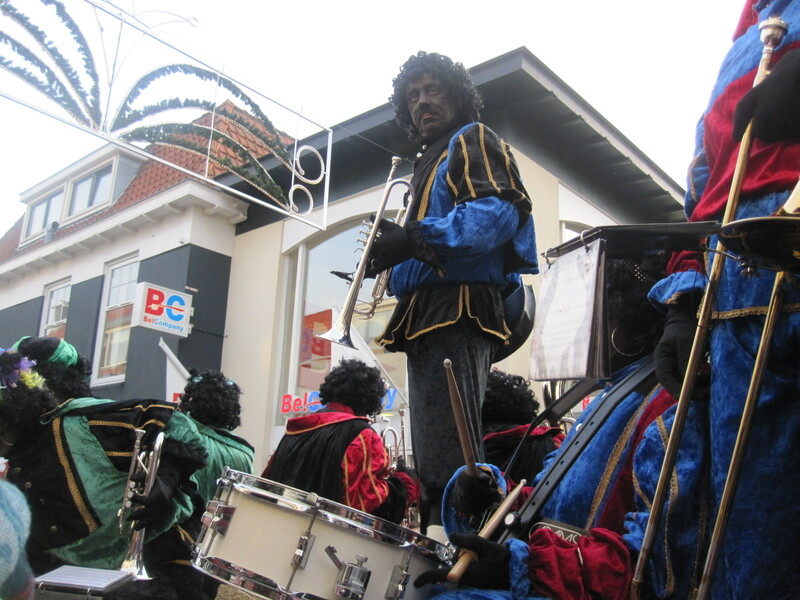 Then he gets the help of several zwarte pieten or local helpers. Piet helps Sinterklaas to deliver gifts to children by climbing through chimneys – hence his face is black due to the sooty chimneys. Thanks to my daughter, Sinterklaas also comes to our house. Till last year, we just celebrated it at her play school. 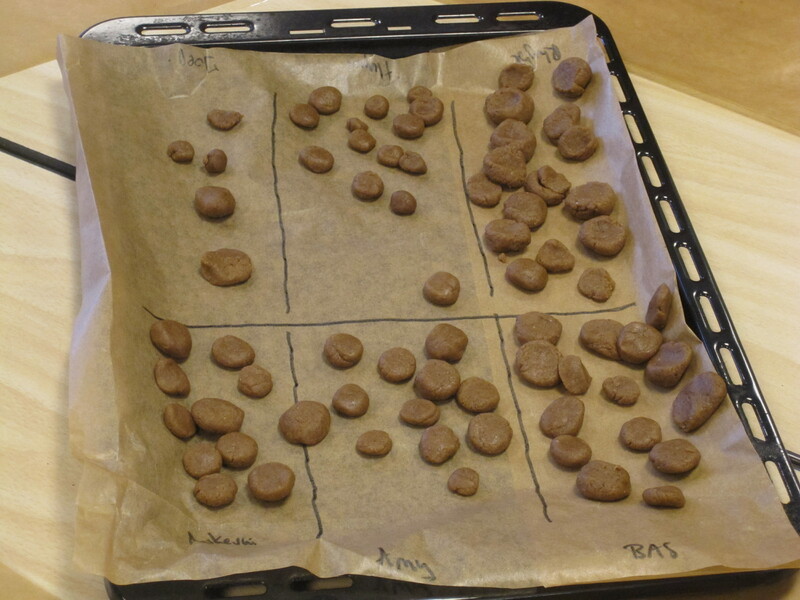 This year, the magic of Sinterklaas has entered our home too – it was also a special experience making the favourite kruidnoten in her primary school! 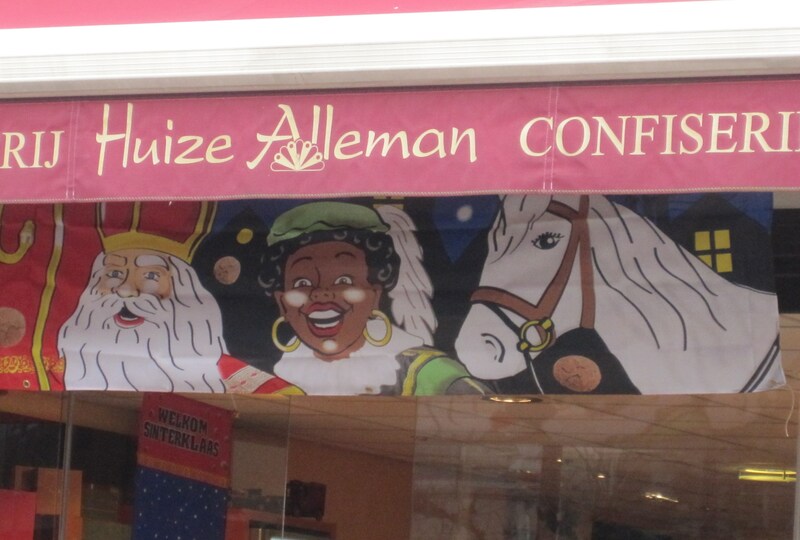 Come October and the Sinterklaas wave starts to sweep in – shops displaying gift items. Enter November, all decorations set in. 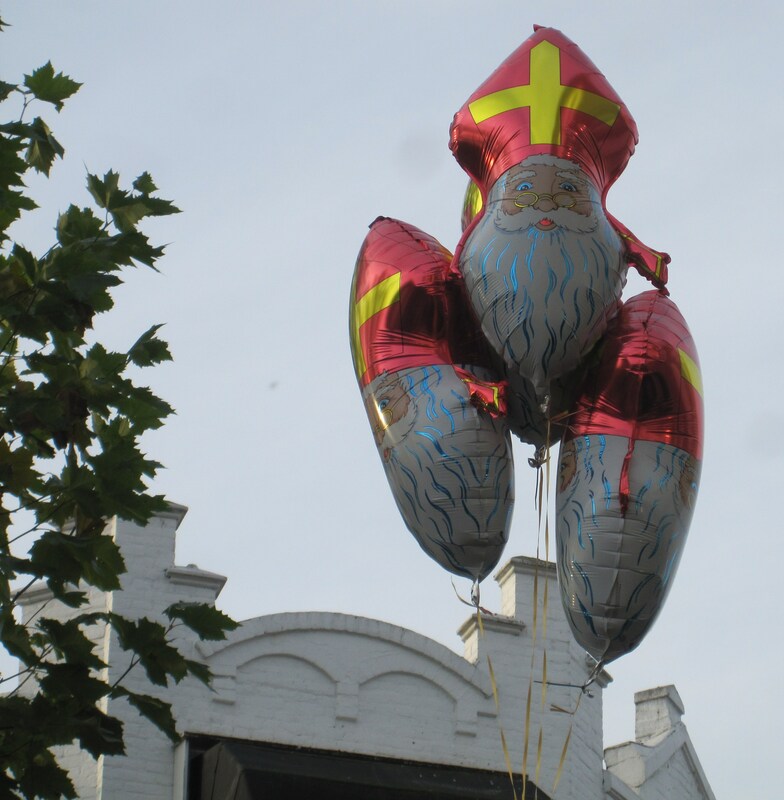 Sinterklaas enters Holland and then everywhere one finds celebrations of their favourite saint. 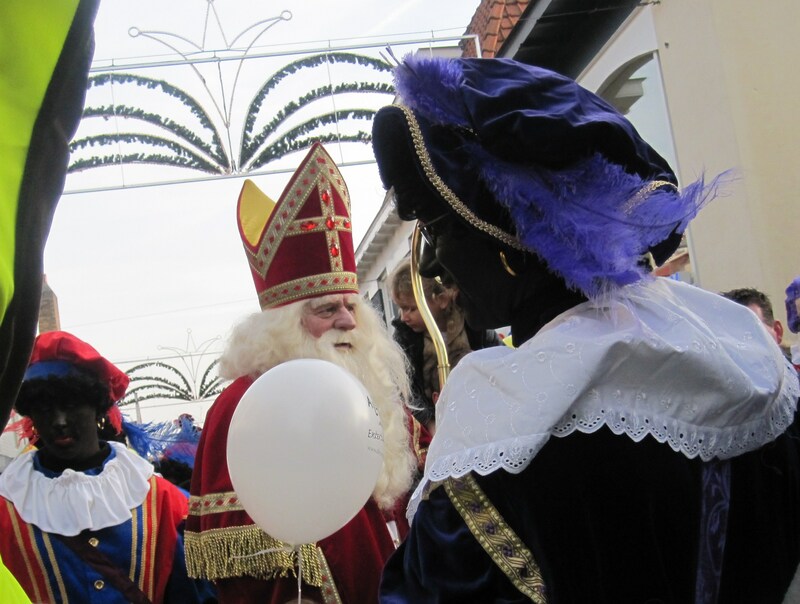 On November 19, when Sinterklaas came to our suburb, we went to welcome him. We could not make it to the harbour he arrived, but we could see him at our own Centrum/Central Shopping Lane – called the Lang Straat. All the shops with posters of the saint and his helpers…. some quite innovative and some very impressive! After a wait for some time, first came the Zwarte Pieten with kruidnoten, peppernoten and candies in their jute bags; then arrived the Sint with some good music and warmth. In front of Sinterklaas and behind were piets, piets and more piets of different age groups – some walking, some distributing kruidnoten, some driving vans, some playing instruments and some singing Sinterklaas songs in those open vans…a different experience altogether. 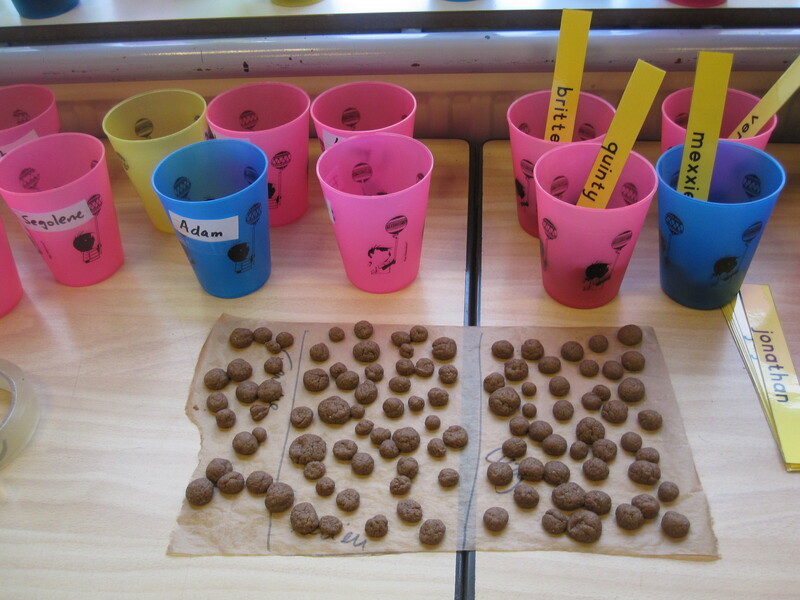 There was a ‘kruidnoten baking day’ and the parents had to help. 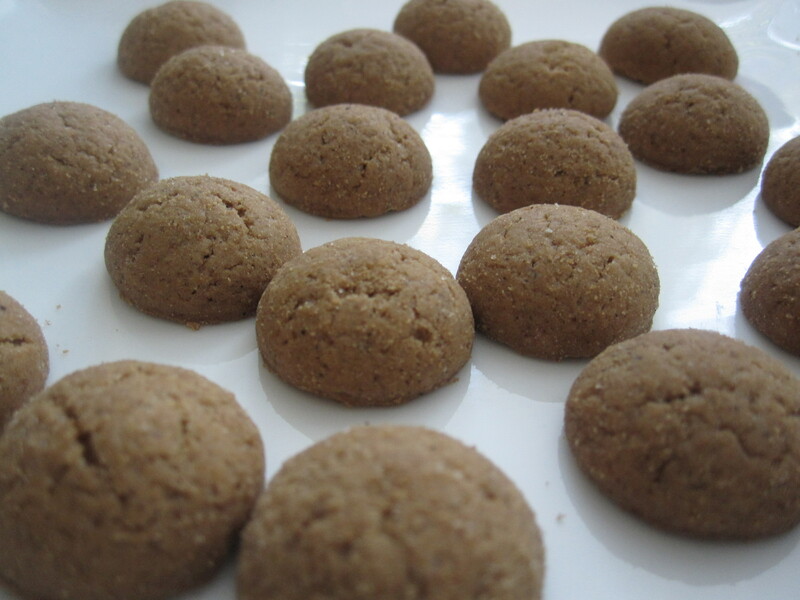 Kruidnoten or Spicy Cookies are always associated with Sinterklaas. These are the cookies that zwarte piets bring for children. It was an interesting day – children with their tiny little hands making those small cookies; we baked them and put it in small cups with their names. Children were so excited to see the cookies they made by themselves but did not bring one for mom and dad to taste. (that mom had her share while baking was an expected one). 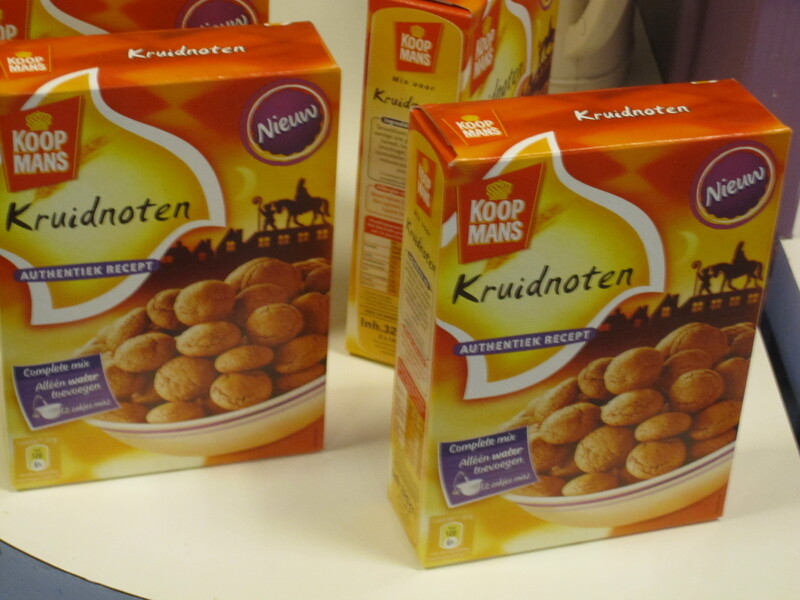 We used the ready made flour mix available in the market to make the dough for kruidnoten. In a professional way, the teachers in the primary class had demonstrated to the children to make dough with the actual ingredients together. I got this recipe from my daughter’s favourite teacher! Note: An egg can be added if preferred. Knead all the ingredients together in a large bowl. Store in an air-tight container and enjoy crisp kruidnoten with a cup of Hot Chocolate! 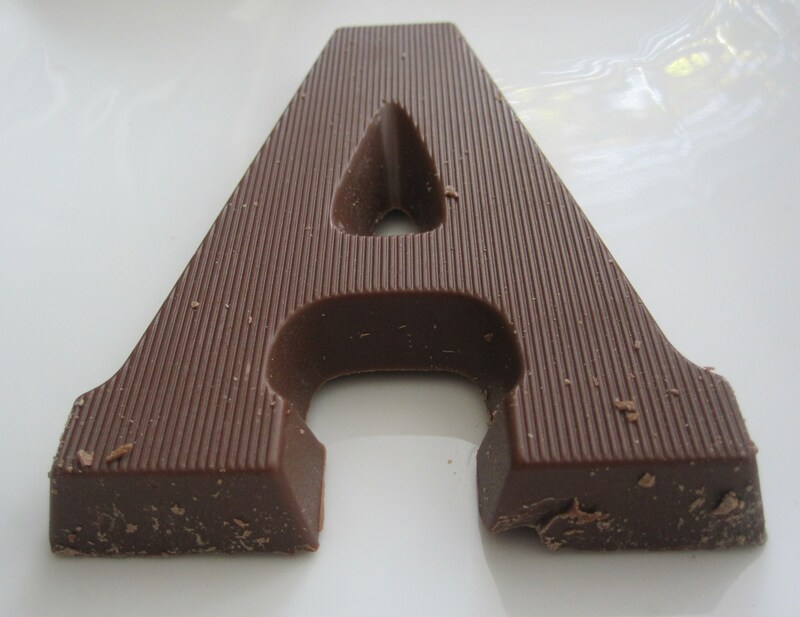 Other goodies popular with Sinterklaas are the chocolate letters, peppernoten or a soft chewy cookie, marzipan and speculaas cookies. 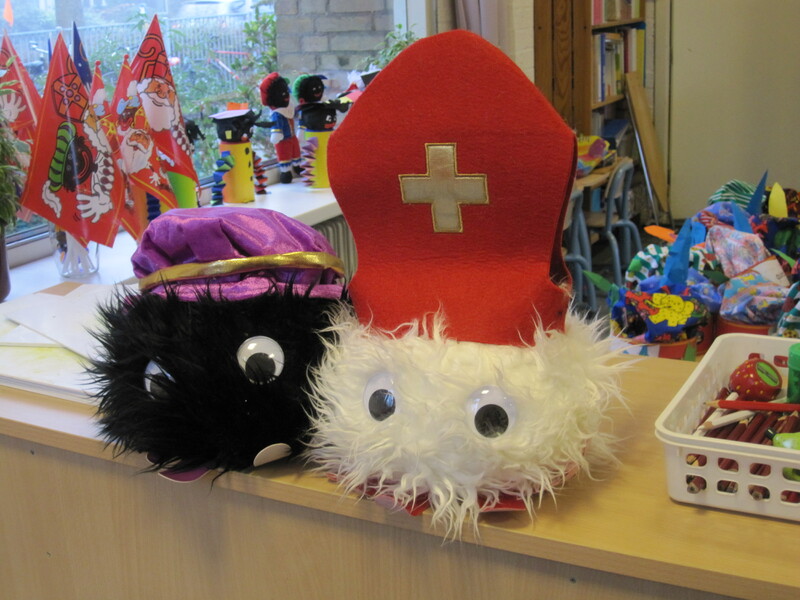 Children are taught dutch songs on Sinterklaas, do art and craft works based on sinterklaas, decorate their classes with various things related to the Sint and learn a lot about the Saint and his helpers. They take one of their shoes to school and paint it and leave it with hay and carrots and eagerly wait for the day Sinterklaas comes to meet them with gifts. They prepare themselves with a poem to recite in front of the Sint. 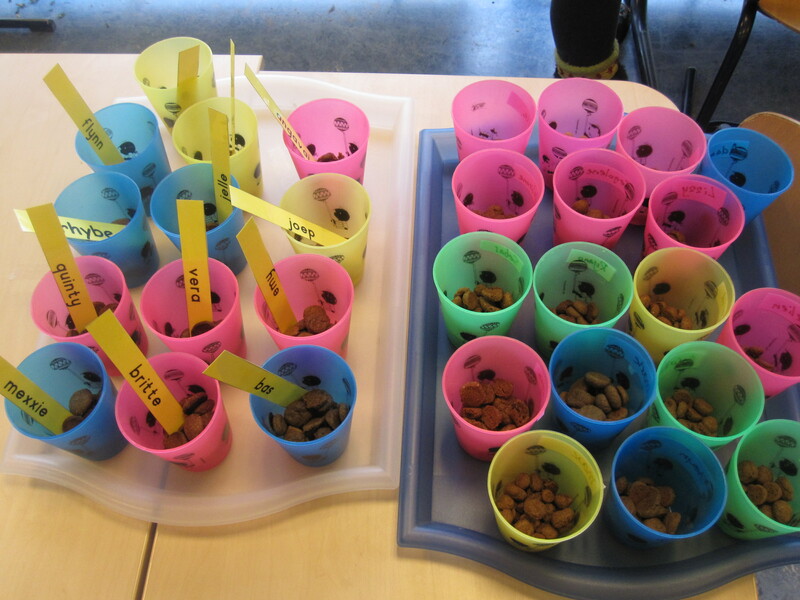 I am waiting for the Sint’s arrival on 5th of December at my daughter’s school. I also have to hunt for some gifts to keep in her shoes on the eve of Sinterklaas. Speciality lies in the fact that, even at their teens and beyond, children want to believe that the sint and piets deliver those goodies to them in appreciation of their good behaviour! Hurrah it is time for celebration!! 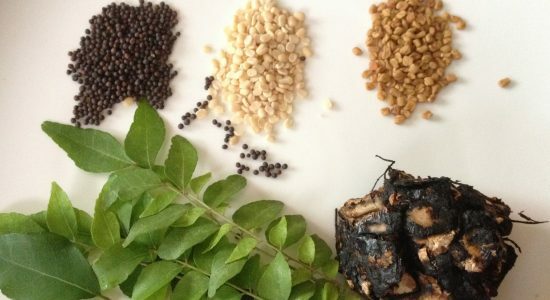 Subbu, these interesting information and amazing traditional recipes for the festive season, are all simply superb! Thank you for sharing. thanks jaya,so you are back to celebrate Sinterklaas!